Tata Motors will be launching two brand new products in order to expand its presence in the volume segment. With one being the H5X concept based premium SUV rivalling Hyundai Creta, the other will be positioned below the Rs. 10 lakh price range to compete against the likes of Maruti Suzuki Baleno, Hyundai Elite i20, Honda Jazz and Volkswagen Polo. It is also the second vehicle to be based on the Impact Design 2.0 philosophy – an evolutionary form of the existing styling language seen in Tiago, Tigor, Hexa and Nexon that has brought back Tata effectively into the volume sales contention and helped change the brand perception among several customers. The premium hatchback will be launched towards the end of next year and it is a conventional form of the 45X concept showcased at this year’s Auto Expo and stunned the show-goers. The production version has been spied testing several times in the last months, giving us a clear indication of its exterior design ethos. 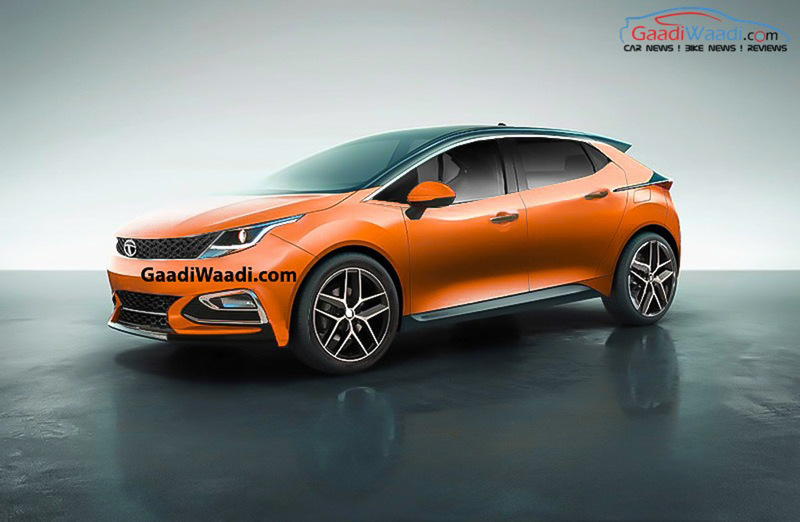 We are pretty sure that our digital render will give some idea of how the road-going hatchback looks like and could emerge as the stylish model within the hotly-contested segment. The Tata 45X concept is 4,253 mm in length, 1,850 mm in width and stands 1,451 tall with 2,630 mm wheelbase. With the production model under four-metre length to have tax relaxations, it will more likely use the 1.2-litre Revotron petrol and 1.5-litre Revotorq diesel engines with six-speed manual and six-speed AMT transmission options. Little has been known of the premium hatchback’s interior yet, but it will share plenty of elements with the top-selling Nexon. It will have the centre console inspired by Nexon and be offered with dual front airbags, ABS with EBD and seat-belt reminder as standard. The top-end variants are expected to get 6.5-inch touchscreen infotainment system with Apple CarPlay and Android Auto, Harman 8-speaker audio, etc.